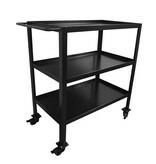 Very strong, black metal trolley on wheels. 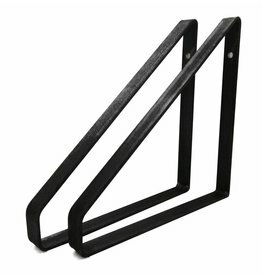 A tough metal classic. 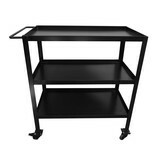 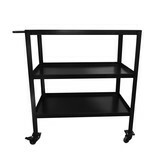 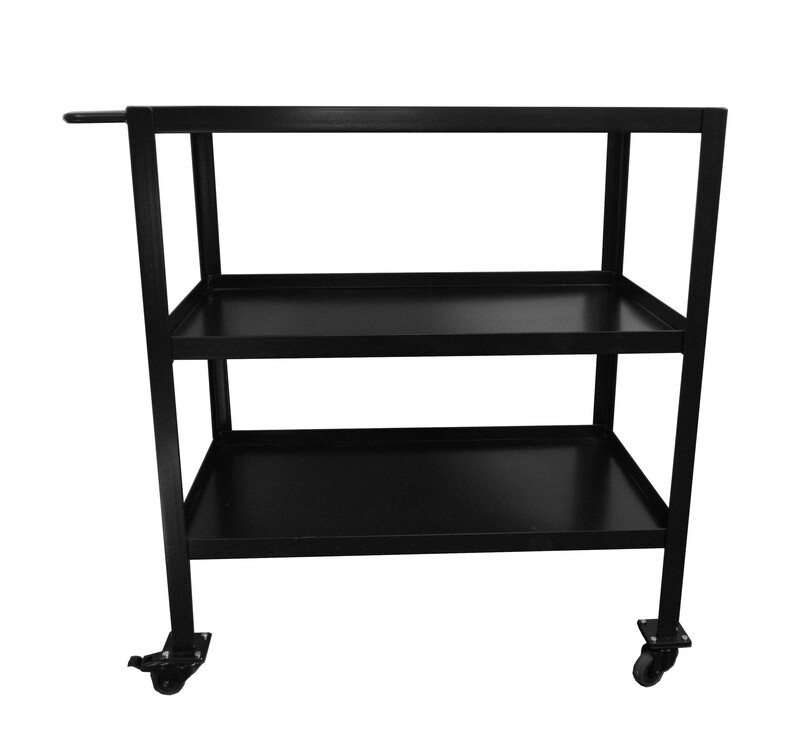 The trolley has 3 metal shelves with a raised edge, the gap is 25 cm. 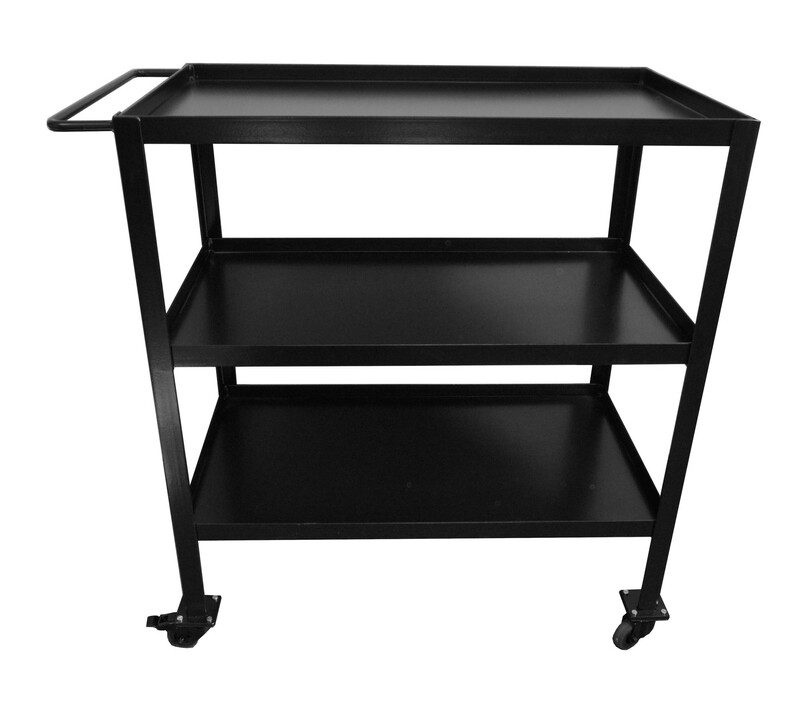 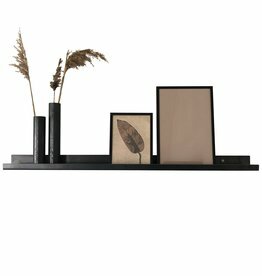 The trolley has a black powder coating, which makes the trolley also suitable for the bathroom. 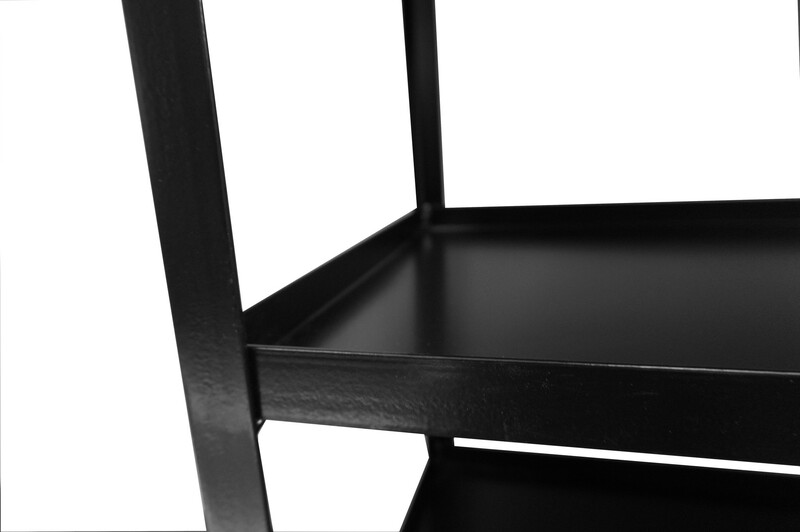 Towels in it, maybe some other bathroom items on the trolley. 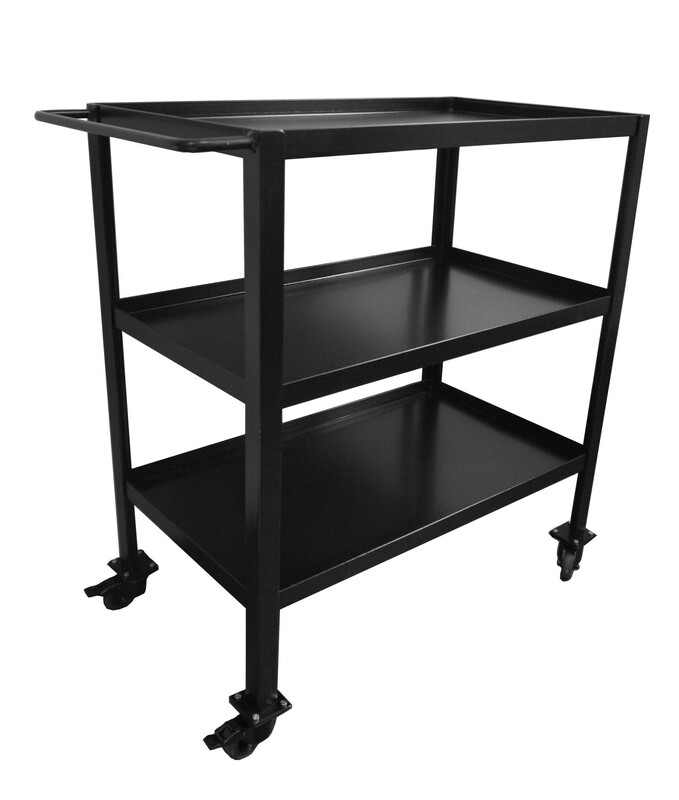 The trolley is nice and sturdy; 2 wheels are equipped with a brake. 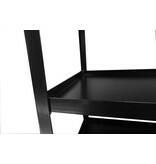 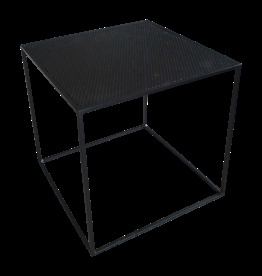 Black metal laptop table or side table Juul van Stoer Metaal.